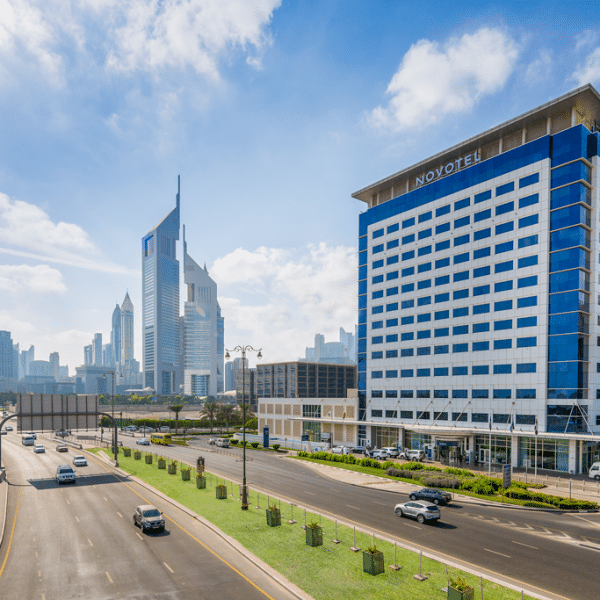 Novotel World Trade Centre is centrally located just off Sheikh Zayed Road. 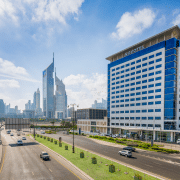 The hotel is 5 minutes away from Dubai Mall where you will experience the world’s largest shopping mall and the famous musical fountains and be spellbound by the world’s tallest building, Burj Khalifa! 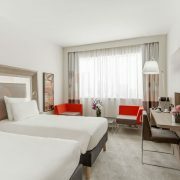 The hotel features 412 contemporary rooms, with a choice of superior, executive and suites. 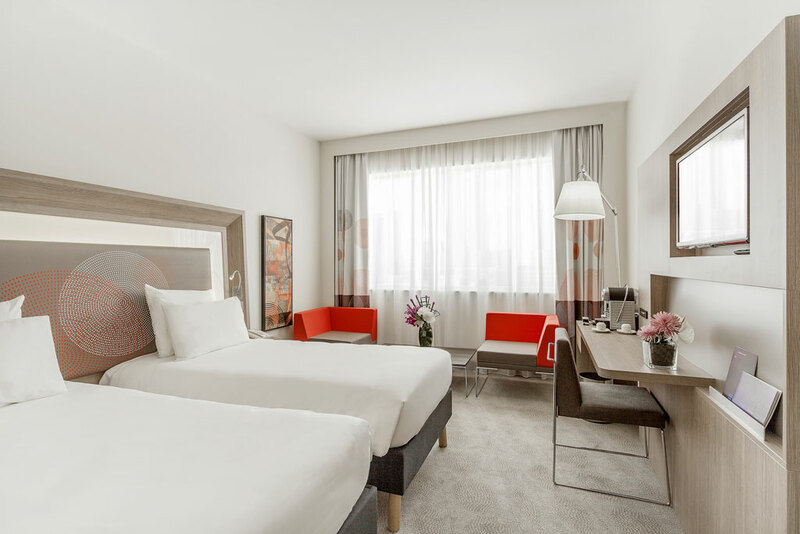 Each room is fully equipped with LCD Screen TV’s with selection of international channels, Wi-Fi connectivity, minibar, complimentary tea &amp; coffee facilities and in-room safe. 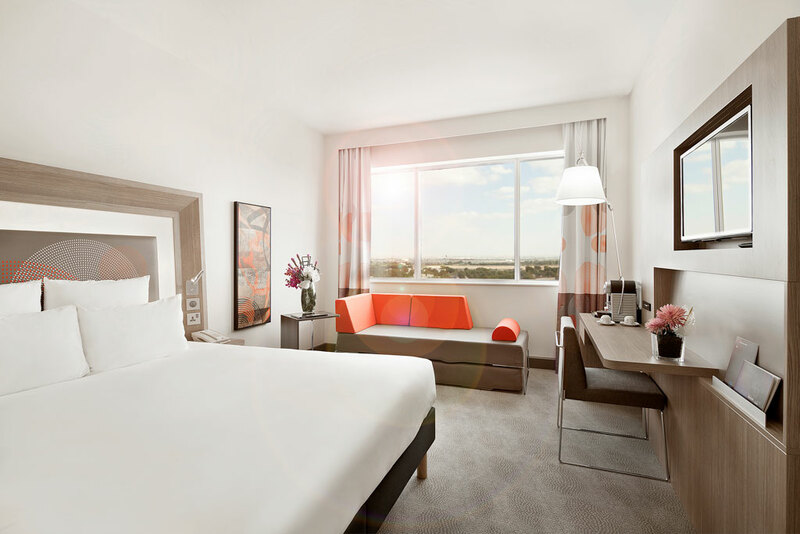 The Novotel Family room features accommodation for up to two adults and two children and a child policy offering complimentary accommodation &amp; breakfast for up to two children under 16 sharing their parents’ room. “InBalance” fitness centre includes a large outdoor temperature controlled swimming pool, a fully equipped gym and a dedicated spa retreat with a range of services including Balinese massage and treatments, a ladies beauty salon and gents barber. 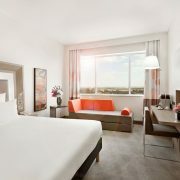 Dine in a choice of restaurants and bars including an international all-day dining restaurant, Jazz bar with live entertainment, alfresco coffee shop, relaxing pool side bar and 24 hour room service. 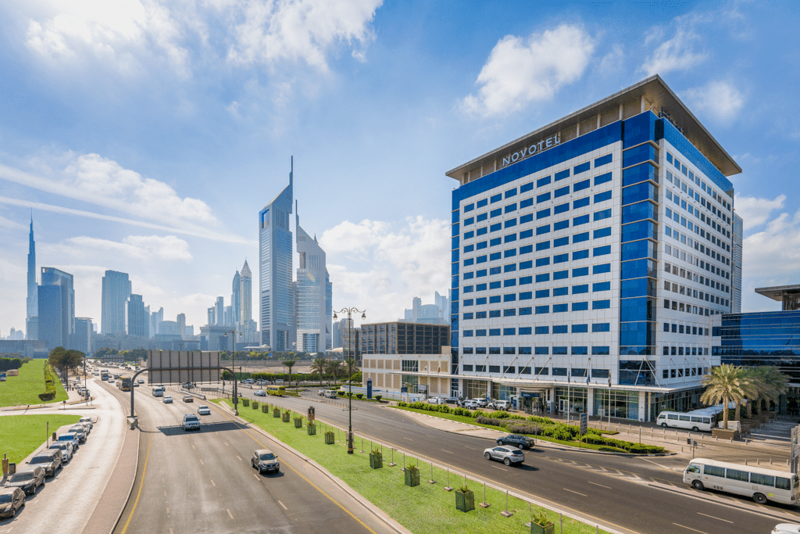 Scheduled complimentary shuttles to major shopping malls and the beach are provided, and with the convenience of the World Trade Centre Metro Station on our doorstep, allows easy access to explore everything that Dubai has to offer!